Does a Diet Soda Affect Insulin? Jennifer Lemacks is an assistant professor at the University of Southern Mississippi with a doctorate in human nutrition from Florida State University, and is a registered dietitian trained in child and adolescent weight management. She has prepared, edited and presented various manuscripts for peer-reviewed journals and professional conferences. Most people with diabetes avoid the heavy sugar load of traditional sodas. While some forego soda all together, others opt for diet options, which contain non-nutritive sweeteners such as aspartame, acesulfame-K, neotame, saccharin or sucralose. Because these sweeteners typically have no calories, they were once believed to have no impact on blood glucose or insulin levels. Limited research has examined the notion that diet sodas may have an impact on the production and effectiveness of insulin -- the hormone that helps lower blood glucose levels. However, further research is needed to investigate these theories. Anyone who plans to regularly consume diet sodas should talk to their diabetes care team to learn about the potential impact of these beverages on blood glucose control. To explore the impact of diet soda consumption on insulin levels, researchers in a December 2009 study published in "Diabetes Care" provided participants with liquid glucose and either diet soda or carbonated water, testing glucose and hormone levels frequently over a three-hour period. While glucose and insulin levels did not differ significantly between the two groups, those who had consumed diet soda had significantly higher levels of glucagon-like peptide-1 (GLP-1). GLP-1 is a hormone that can help control blood sugar via different mechanisms -- and one of its roles is to stimulate insulin production. Researchers hypothesized that changes in GLP-1 levels were from the stimulation of the sweet taste receptors. In other words, people's bodies recognized that the beverage consumed was sweet. Because the study was small and performed on healthy people without diabetes, additional research is still necessary to understand the impact on individuals with diabetes. Diet sodas contain non-nutritive artificial sweeteners. Unlike their natural counterparts, these sweeteners contain few or no calories. Because of their prevalence in food, research continues on their effectiveness and health impact. A September 2013 review article published in "Trends in Endocrinology and Metabolism" concluded that non-nutritive sweeteners did not increase insulin or GLP-1 levels when consumed alone or when delivered straight into the stomach. In addition, when consumed with sugar or other carbohydrates, artificial sweeteners did not cause more than the expected amount of insulin production. However, the authors expressed concern that frequent consumption of these ultra-sweet beverages could eventually confuse the body, dulling its appetite-controlling and insulin-producing responses to sugar and other naturally sweetened foods. More quality research is needed to better understand the effects of diet sodas on hormone production, brain chemistry and appetite control. The way the body handles consumed food is influenced by bacteria or microbes in the intestinal tract. In a July 2012 study published in "Current Opinion in Clinical Nutrition and Metabolic Care," researchers found that continued consumption of the non-nutritive sweeteners found in diet sodas could cause intolerance to glucose, or worsening blood sugar levels, by affecting the gut bacteria. The precise mechanism is not clear, but one theory is that modifications to gut bacteria could result in inflammation that would promote insulin resistance -- an impaired action of the body's insulin that can worsen blood sugar control. 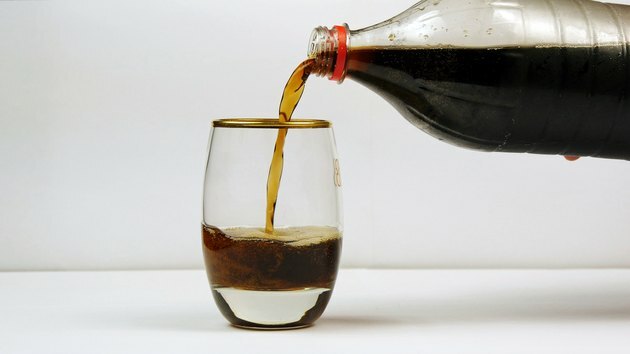 Additional research is needed on how diet sodas affect gut bacteria in people with diabetes, because much of the available research was done on healthy subjects or rodents. While the bulk of research concludes that diet sodas do not affect insulin production, questions remain on how these sweeteners may indirectly impact insulin production or action by influencing gut bacteria, taste receptors and the body's chemical response to intensely sweet but calorie-free foods. One of the challenges researchers face is that the sweeteners used in the most popular diet sodas evolve over time. Because each artificial sweetener has a different chemical makeup, it’s hard to compare findings and prove research validity. However, the position of the American Diabetes Association, as summarized in the August 2012 "Diabetes Care," is that the careful and limited use of artificial sweeteners could be an effective method of avoiding sugar intake. More research into these sweeteners is forthcoming, so discuss diet soda and artificial sweetener use with your doctor and dietitian. Does Aspartame Affect Sugar or Insulin in the Body? Are There Health Benefits of Drinking Diet Soda?